Justin is an Iowa native and 5th generation farmer with over 16 years of experience in large-scale farming in excess of 10,000 hectares. Justin has set up and actively managed farms in Iowa, Brazil, Africa, Ukraine and Canada for personal, private, public and fund investment groups scaling in size from 3,000 to 135,000 acres. Justin is a leading authority in Agribusiness within Emerging and Frontier markets. His work setting up large scale farms across Ukraine has been featured in Bloomberg, and he is regularly invited to speak at global agribusiness conferences. Justin is currently focused on farmland operations and evaluations for Canterra Capital Corp. in Regina Saskatchewan, and he is also actively farming in Iowa on the family farm. 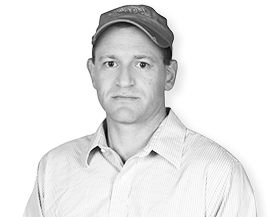 Justin has a BSc in Agronomy from Iowa State and an MBA from California State University.